After downloading these bookmarks, please take the time to rate this product. I greatly appreciate the feedback. 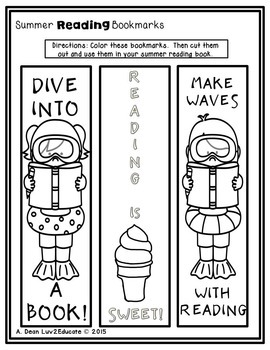 These three free summer reading bookmarks are part of the "Summer Review NO PREP PK-K Packet" that features Math, Language Arts, and Science. For more information, see the link or read the detailed product description below.